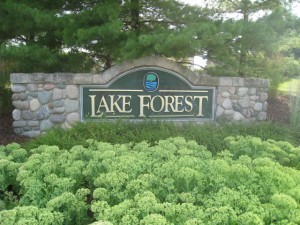 The community of Lake Forest, just four miles from downtown Ann Arbor, offers an opportunity for you to begin living your dream, in a home customized to your needs, your tastes and your lifestyle. The Pines at Lake Forest is an extraordinary find: an exclusive assortment of traditional residences designed to enhance family values in an idyllic setting, yet situated close to the shopping, dining, business and entertainment centers so necessary for today’s busy lifestyle. With a prestigious Ann Arbor address, and within the nationally recognized Ann Arbor school district, homes of the Pines at Lake Forest are still taxed at a low rate, and are situated on large lots among towering trees and adjacent green spaces. The community features a limited number of home sites, with curving streets, a pond, and park and playground areas, yet it allows easy access to major expressways and is close enough to the countryside to be extremely quiet and peaceful. Homes of the community reflect the achievements and values of its residents. Ranging from approximately 3,000 square feet to more than 7,000, they are mostly traditional style one and a half or two-story brick-faced structures, with living spaces designed for family togetherness and well as entertaining. This is a family-oriented community; and the custom homes do not encroach on the natural landscape as much as they enhance the rolling hills and well-maintained green spaces. This is a neighborhood committed to living well and preserving the environment. Newer custom homes incorporate energy-saving features, and are designed with all the latest amenities for ease of maintenance and lasting value. Homes in the Pines are only minutes from the beautiful University of Michigan campus, encouraging access to and participation in all of the school’s educational, cultural and sports events. And, as in any major university town, there is a wealth of opportunity for enrichment activities for the entire family. The surrounding countryside and nearby Lake Erie also provide an unlimited array of weekend and leisure-time pursuits, ranging from a simple country drive or picnic to a boating excursion on the water. So, if a new home is in your future, why wait? There will never be a better time to start living your dream. Visit The Pines at Lake Forest in Ann Arbor, and get a glimpse of your future.